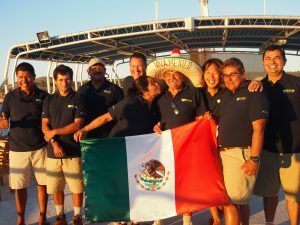 On Fun Azul Fleet, certification and specialty courses are taught in accordance with PADI. All courses require advance reservation. 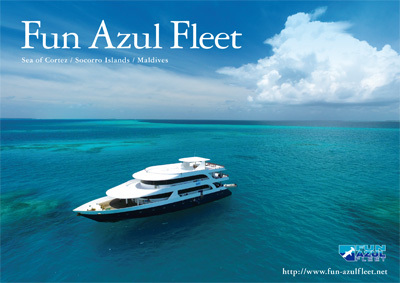 Please contact reservation@fun-azulfleet.net for availability. 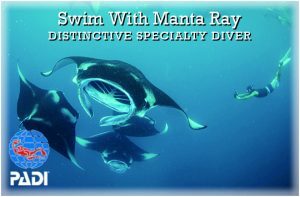 “Swim With Manta Ray Specialty course” is designed to introduce divers and non-divers to the behavior and habitat of the manta rays living in Maldives. overview of Project AWARE and other preservation and research efforts, students also learn the importance of personal involvement in aquatic environment conservation. 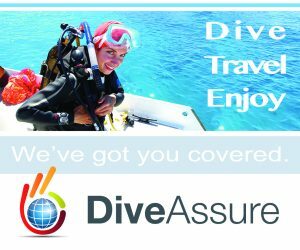 This continuing education course includes total of five dives. 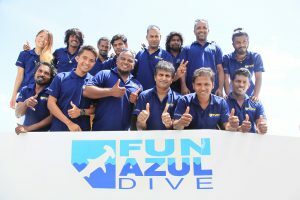 The course helps to build confidence and expand your scuba skills through different Adventure Dives. 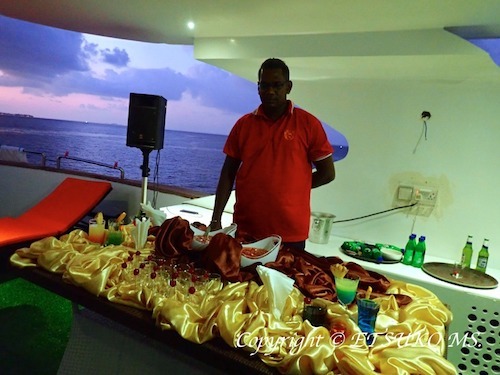 Include:Tanks, use of oxygen analyzer, use of course materials in English, instructor and check out dives. 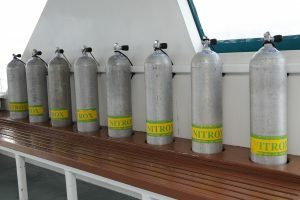 Student may continue to dive Nitrox, using the student fill rate, the entire trip once they have completed the course. Nitrox Fills for Nitrox Course Student: $10 / Day – This includes all nitrox tank fills beyond the certification level and only available to those who take the course on board. 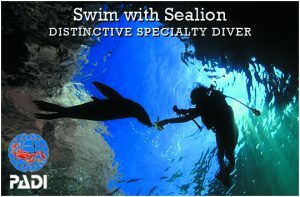 “Swim With Sealion Specialty course” is designed to introduce divers and non-divers to the behavior and habitat of the sea lions living in La Paz, Mexico. Sealion is the most common families and species found here in La Paz. Participants will learn basics of sealion observation and swimming techniques.This course familiarizes participants with the current state of the sealions in La Paz and explains how individuals can help protect the living sealions from further decline in numbers. Through an overview of Project AWARE and other preservation and research efforts, students also learn the importance of personal involvement in aquatic environment conservation. A Medical Statement and Medical Questionnaire section must be completed to enroll in the scuba training program. Minors must have this signed by a parent or guardian. 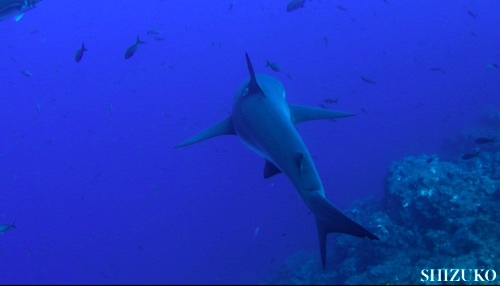 The purpose of the Medical Questionnaire is to find out if you should be examined by your doctor before participating in recreational diver training. If you have answered “YES” to any of the questions on the medical questionnaire, you will be required to have approval from your physician. It is required by the certification agency that serious medical conditions must a clearance letter from a physician. Please present this letter to the onboard instructor prior to any course work.